Malti qualified as dental nurse in 1984, has worked in general dental practice, hospital and community dental services. Malti has been the practice manager at Abbey Dental since 1999 and is a valued member of the team. Dr. Beejal Shah BDS (Guys Hospital, London) 1992. Dr Sribavananthan qualified as Dentist in Sri Lanka in 1996, and obtained the Statutory exam in England in 2005. She has worked as Senior House Officer (registrar) in Colombo Hospital, Sri Lanka, before increasing her experience in Private Practice. Dr Sribavananthan joins the team at Abbey Dental Practice, South Harrow, on a part-time basis, and is a valued member of the team. Dr. Ajitesh Ghosh BDS 1999 (Kings College, London); MFGDP 2002 (Lond). Dr Ghosh qualified in 1999 from Kings College Hospital, and completed his Vocational Training in Cambridgeshire, before achieving the further postgraduate qualification Membership of the Faculty of General Dental Practitioners in 2002.Dr Ghosh enjoys all aspects of general dentistry (NHS and Private), and has a particular interest in Endodontic treatment. He is a valued member of the team. Dr Chudasama qualified from Liverpool University in 2012 and then was awarded the diploma of membership of the faculty of dental surgery, by the Royal College of Surgeons of England, a year later. She is committed to continued professional development to improve the care she provides for her patients. Dr Chudasama is known for her caring and gentle approach and will ensure to build an excellent relationship with all her patients. Her interests include periodontics and restorative dentistry. 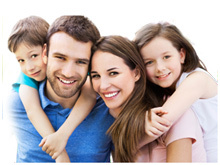 She has a holistic approach to take care of all of your dental needs and enjoys treating nervous patients and children. 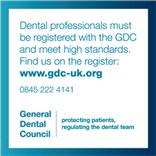 Professional membership includes being a member of the British Dental Association. Qualified as Dental Hygienist in 1989, Works in Private and General Dental Practices. Been at Abbey since June 2002. Dr Manghera qualified as a Dentist in India in 2005, and obtained the Statutory Exam in England in 2014. Dr Manghera joins the team at Abbey Dental Practice South Harrow on a part-time basis and has been with the team since 2009. She is a valued member of the team.